Ernst & Young proves the material superiority of our financial data and ratios. 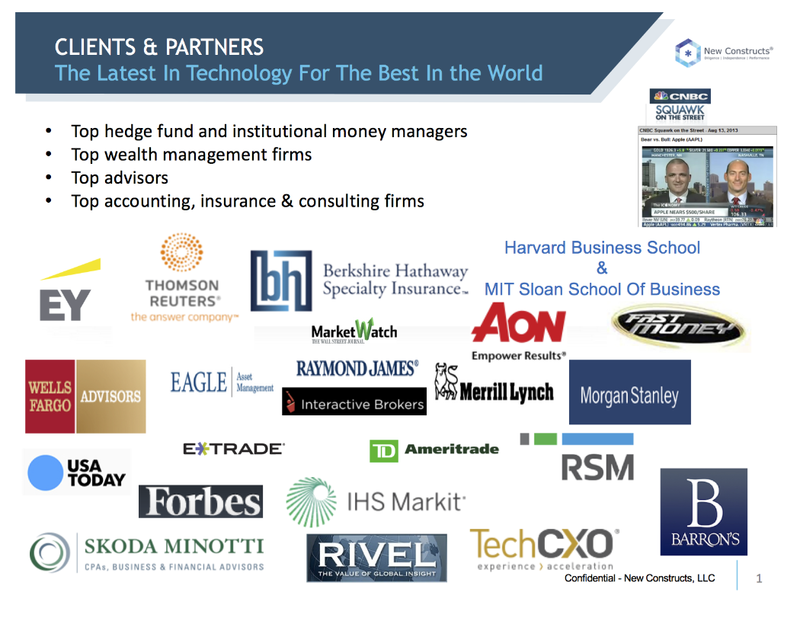 Harvard Business School’s case study “New Constructs: Disrupting Fundamental Analysis with Robo-Analysts” features how our machine learning technology scales our forensic accounting expertise across thousands of securities. Now, everyone can have the sophisticated fundamental research that Wall Street insiders use. Many of the top firms in the world rely on our research to make more informed decisions and fulfill the fiduciary duty of care. We believe every investor deserves unconflicted and comprehensive fundamental research. As we wrote in “Diligence Will Matter More Than Ever In 2017,” investors are going to increasingly demand this level of diligence as a baseline level of research to support any advice. Is it not in the best interests of advisors, portfolio managers and all investors to use research that meets all the criteria below as long as that research is easily affordable and accessible? Comprehensive: all relevant publicly available (e.g. 10-Ks and 10-Qs) information has been diligently reviewed, including the footnotes and the Management’s Discussion & Analysis (MD&A). Un-conflicted: we deserve unbiased research. Transparent: we should be able to see how the analysis was performed and the data behind it. Relevant: there must be a tangible, quantifiable connection to stock, ETF or mutual fund performance.